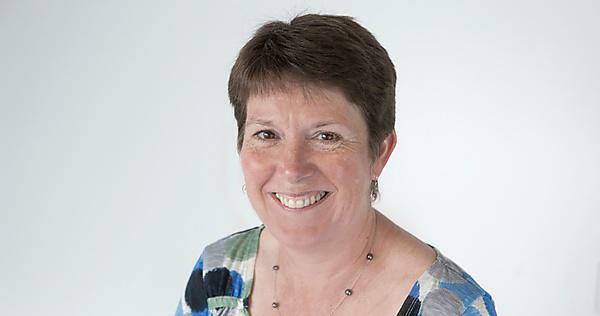 Bridie Kent joined Plymouth University in January 2013 as a Professor of Leadership in Nursing. Two-and-a-half years later, she’s taken on the role of Head of the School of Nursing and Midwifery – and she’s well prepared for her new challenge. Q: Tell us a little bit about your nursing experience. I trained at St Bartholomew’s in London back when nursing was a hospital-based training rather than an academic one, and specialised in intensive care. I only went into academia several years later, and after doing my degree in nursing, I was persuaded by a clinical academic that I should do a PhD. I went on to work in New Zealand as Director of Clinical Nursing Research at the Auckland District Health Board and Auckland University and then in Australia as Professor of Nursing at Deakin University. Family commitments have brought my husband and I back over to the UK, and now I’m here in Plymouth. Believe it or not, there are a number of parallels between nursing abroad and here in the UK, including helping to care for an ageing population, patient safety issues, and dealing with women having babies at an older age. Q: What do you hope to achieve in your new role as Head of School and what do you think are the biggest challenges you face? I think we are very lucky at Plymouth University to be making strides in research, be inspiring in our teaching, and be exemplary in clinical practice, so I’m going to do my best to connect them all and enable everyone to get the very best out of their time here. It’s definitely a challenge as Nursing and Midwifery, in terms of student numbers, is one of the biggest schools at the University, but by putting research evidence into practice we can ensure that we provide the best, most consummate care – both in nursing and midwifery and throughout the entire Faculty of Health and Human Sciences. Q: What makes the nursing and midwifery courses at Plymouth stand out from those at other universities? The University is the biggest provider of nurses and midwives in the South West and we have a fantastic number of career opportunities and diverse specialisms, which are a great draw to the hundreds of people who apply here each year. I think our work in sustainability in nursing is very forward-thinking and certainly makes us stand out, as does our fantastic clinical schools project with local NHS trusts. Plymouth’s nursing and midwifery also has a real inclusivity about it, as its applicants are from a very mixed demographic. Fewer than half of the people on our course are school leavers and there tends to be more mature students, who feel that they have the opportunity to excel here, perhaps after undertaking other careers previously. Q: And are there any areas that you think could be improved? We really do have some fantastic research going on at the University and we need to publicise it more. Nurses are renowned for not promoting themselves enough, so I’d like to encourage our students and academics to be more vocal about the work they’re doing. Also I think clinical schools across the peninsula are a fantastic way to combine research with real-life skills, so I’d like to look at utilising these more as we move forward. Q: Despite some negative coverage in the media, nursing still remains an incredibly popular career choice – why do you think this is? Nursing has taken a real battering in the news but ultimately everyone who considers entering the profession really cares about helping others. We have all at some point seen or received the kindness and care a nurse provides, whether in a hospital or in the community, and I really think that inspires people. Our recruitment is values-based so we ensure that we take on the students who would excel in the profession, are committed to it and are prepared for the hard work. It has to be said that, as well as negativity, the media has also been responsible for some good in nursing. There are a lot more men applying for the courses now, which is possibly as a result of media influence. Q: Tell us something about yourself that people might not know. I’m quite proud of the fact that I was the first person to be awarded a PhD in nursing from the University of Wales, Bangor. But what people would probably be most surprised to hear is that, when I get the chance, I enjoy windsurfing (or at least trying to windsurf!). I was persuaded to have a go about 15 years ago when I was studying in Wales, and I have since gone on to achieve Royal Yachting Association (RYA) Levels one and two. I’m also a keen runner and often run as part of my commute into work.